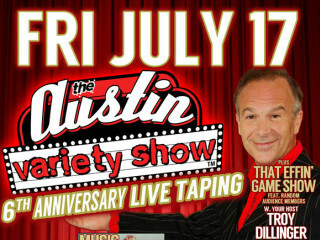 Celebrate the awesomeness that is the Austin Variety Show with a sixth anniversary party down at the Google Fiber Space. Guests can enjoy live local music, comedy, burlesque, a game show with randomly selected audience members and complimentary food and beverages from Austin establishments. This whole event will be live-streamed and recorded for later release.